The Vandals sent through a look at their new 2013 Troop X LDN complete bike that will be available in February. This bike features a 1020 Hi-Ten chromoly frame with an 11.75″ bottom bracket height, 9″ standover height, 13.75″ chainstay length, slim 14mm drop outs, removable brake mounts, a sealed headset and mid bottom bracket and a chrome Vandals headtube badge. You can also find 8.5″ rise, 29″ width bars, Tapered slim forks, 4130 chromoly 3-piece cranks, a 25-tooth sprocket, a cassette hub with a 9-tooth driver laced to a 36-hole double wall rim with Rasta colored spokes, Fat Innova 2.3″ tires. The LDN edition comes with Cult plastic pedals, DeHart grips and LDN graphics. This bike comes in gloss black and chrome with a weight of 24.5 lbs. fresh out of the box. Looks like a dialed unit for sure. Check out more photos of the bike here. This is interesting. It sounds like Sunday were forced to change the name of their Spark complete bikes. They’re now called the Primer and Primer Jr. Here’s what they said on the site. All of Sunday‘s 2013 complete bikes are out NOW. Check out the full range in the flipbook above then hit up your local shop or favorite mail-order to get yourself one ordered up! They don’t have any? Tell them to get ahold of Full Factory Distribution to get one ordered up for you! Amity Bike Co. put together this rad promo commercial featuring their Zenta complete bike. They gave their team riders, Cam Hardy, MJ and Santoo on of the bikes to test out to see what it can hold up to and ended up with some real good clips. They’ve even bumped the price of the bike down to £295 for the holidays too which is pretty crazy. Check it! Colony have just received their shipment of the 2nd batch of colors for their 2013 complete bikes. These will be hitting shops around Australia in a week or so and will be available worldwide shortly after. You can check a sneak peek of the colors by Clicking Here. Wethepeople have put together a new microsite that gives you a closer look at all of their 2013 complete bikes. 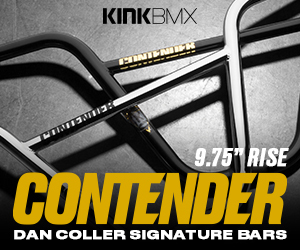 If you’re looking to drool a little bit… or you are looking to get a new complete bike, this is the place for you. CLICK HERE to check it out! Fit caught up with Dan Conway to talk a little bit about the dialed Wifi complete bike and throw down a few clips. Check out a sick bike and some sweet riding clips! “To benefit the Athlete Recovery Fund (ARF) and offer our best complete bike to date, we started with our popular aftermarket WIFI frame and assembled a bike with the best selection of FIT aftermarket components: Blade II Forks, FIT 19mm Indent Cranks, and Inman handlebars. Available in three size options: 20.5”, 20.75” and 21” and three limited edition color releases. Posted: October 4, 2012 Tagged With: BMX, Complete bike, Daily, Dan Conway, Fit Bike Co. Colony dropped a fresh video giving you a closer look at their 2013 Inception complete bike. They’ve also tossed in a few riding clips from Mick Bayzand, Dean Anderson, Cooper Brownlee, Marnold, Clint Millar, Nuke, Chris Courtenay and Alex Hiam for good measure. How dialed is that unit? “Frame: Colony Inception Full CrMo 20.3″ TT 13.5″ rear, 75.2 HT, 71 ST, Mid BB, Integrated Headset. Now with removable brake mounts & hardware. Forks: Colony Full CrMo tapered legs with 1 piece CNC steer tube.